Pollard signed a one year deal with the Titans on March 21, 2013 and I wrote this about the move and the Titans safety position in 2012. The Pollard signing didn’t fail to disappoint as the Titans safety position improved dramatically. 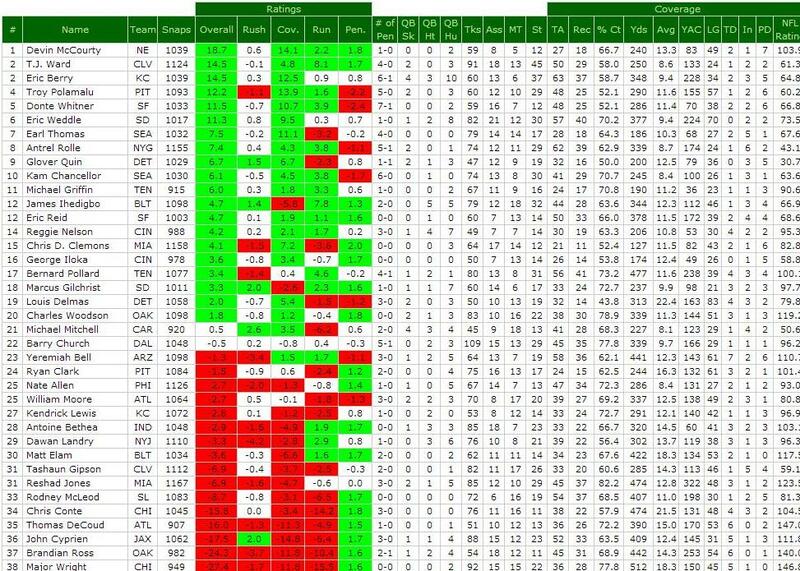 So dramatically in fact they finished the year with both Pollard and Griffin making the top 20 overall rankings of safeties who played at least 75% of the defensive snaps per Pro Football Focus. 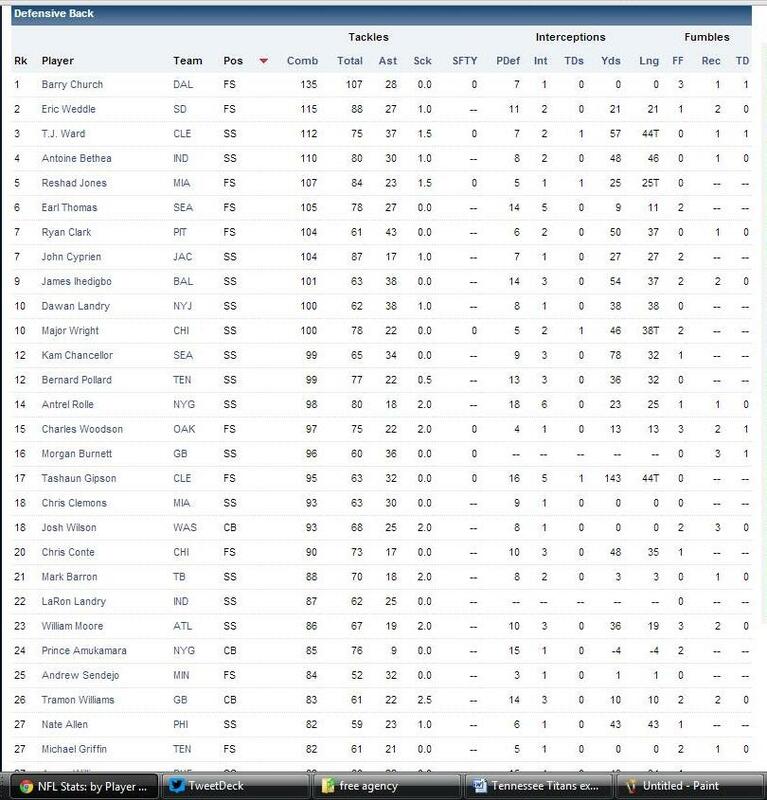 Pollard’s 2013 stats were good enough to place him tied at 12th in the league among defensive backs along with another outstanding strong safety in Kam Chancellor. When looking at his stats, one thing that stands out is how remarkably consistent he was during the course of the season. So all the above means this was a smart decision by the Titans right? Well yes in part. It doesn’t tell the whole story however. The area where Pollard really excelled last year, and the reason why it was smart for the Titans to extend him, was in his ability to read and react to opposing offenses. 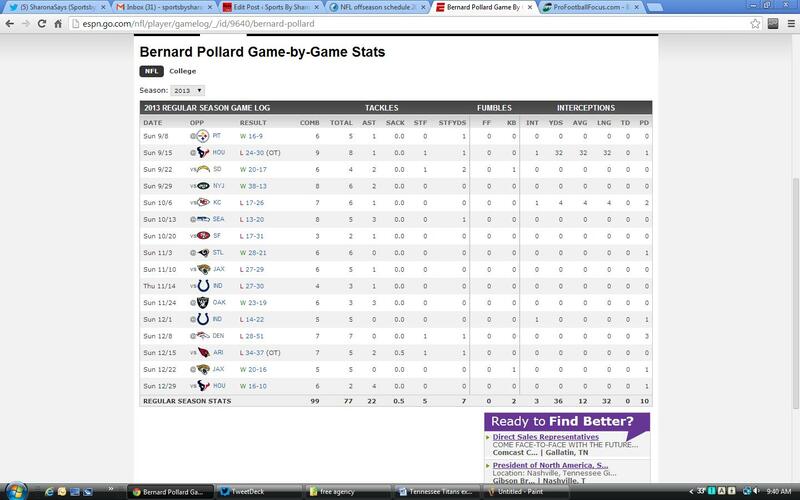 It’s no coincidence Pollard led the Titans not only in tackles but in solo tackles. He finished the year with 99 tackles, 77 of them solo. The reason why it was smart for the Titans to extend Pollard was because he finished the season with 31 defensive stops per Pro Football Focus. That placed him at #4 among all safeties in that category which is simply outstanding. A defensive stop is defined as a solo tackle leading to an offensive failure. 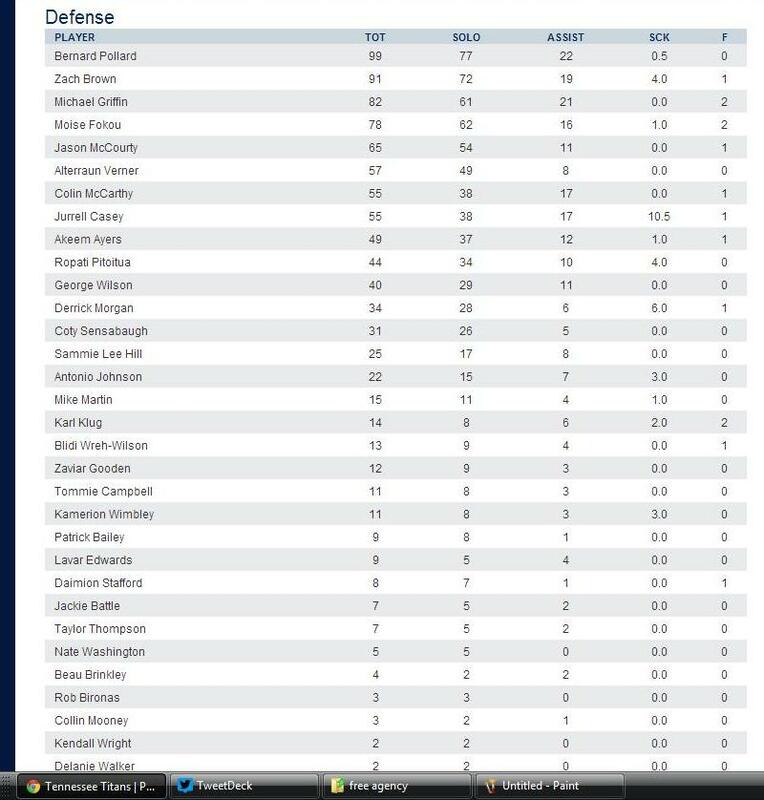 It’s also no coincidence he was at the top of the list among safeties in tackling with only 8 missed tackles on the year. That put him only one spot better than fellow safety Michael Griffin who only missed 9 tackles. The turnaround in that area for Titans safeties is nothing short of spectacular. The area where Pollard was reported to be lacking was in his coverage skills but after giving up some early touchdowns primarily in the first Texans game, he settled in and played very well. He finished the year with 3 interceptions, 4 passes defensed, and a 73.2% catch rate. He was targeted 56 times giving up 41 receptions along with 4 touchdowns. Opposing teams averaged only 11.6 yards per catch against him. Run support is definitely Pollard’s strength but his coverage ability proved to be more than adequate for the Titans in 2013. Combine all the above with the attitude and leadership he brought to the Titans and you see why this was a smart move for them to make. Additionally, it gives them greater flexibility in the upcoming draft since they will only have 6 picks. Finally, Pollard is definitely a fan favorite so this signing is sure to please a fan base discontented with the dearth of playoff appearances since 2008.